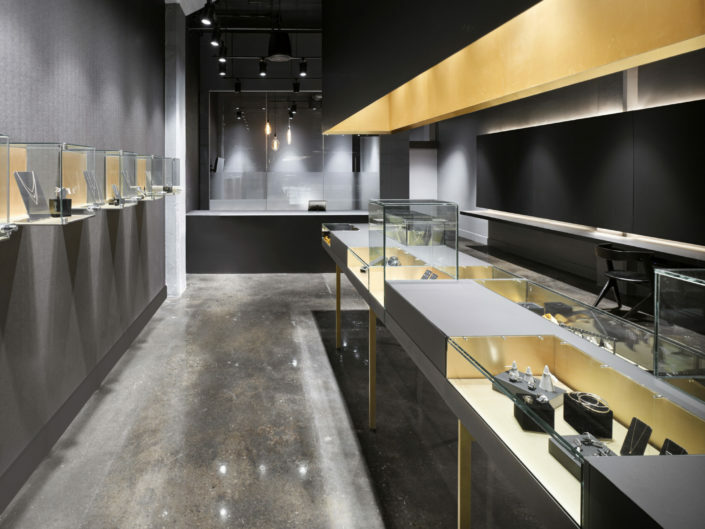 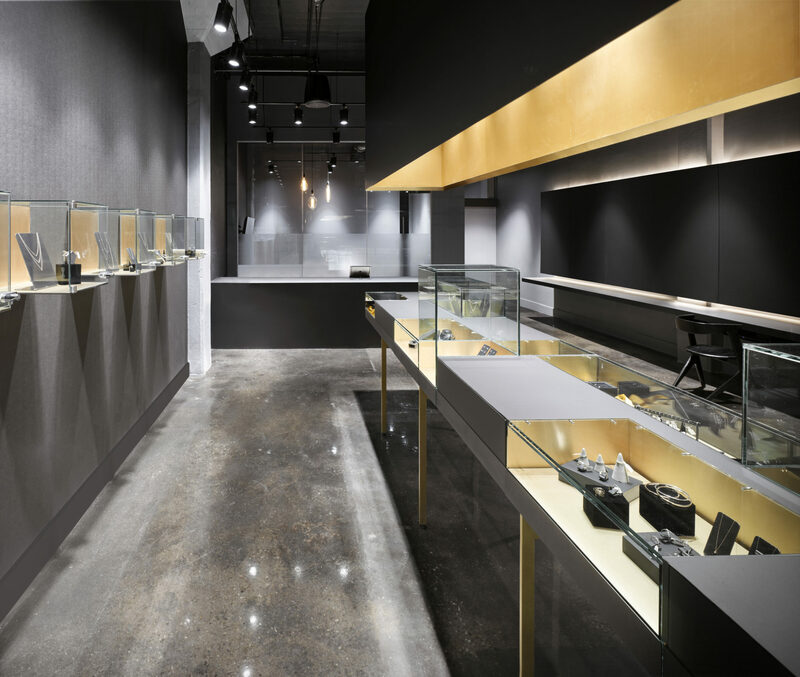 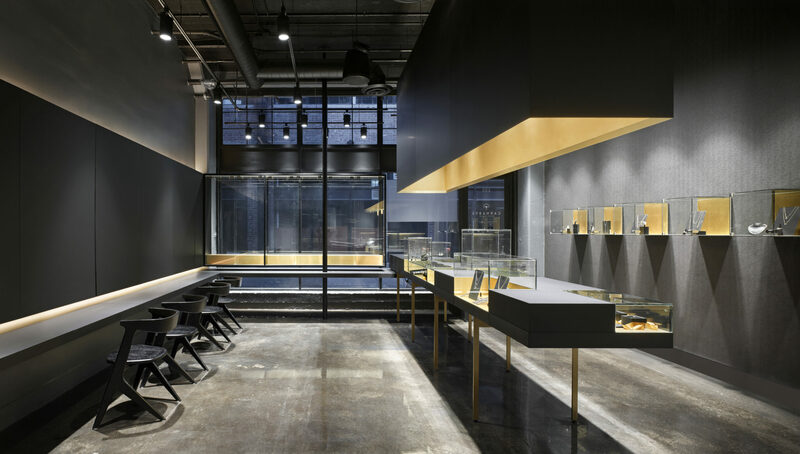 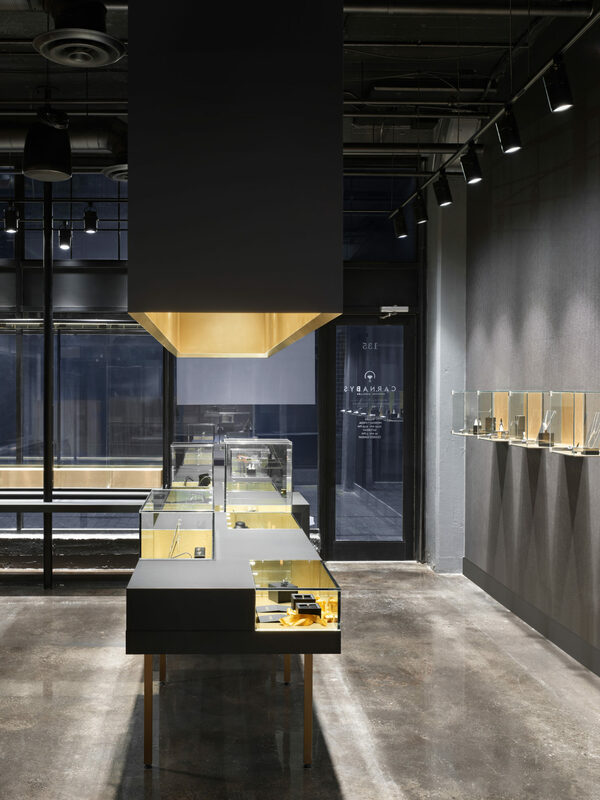 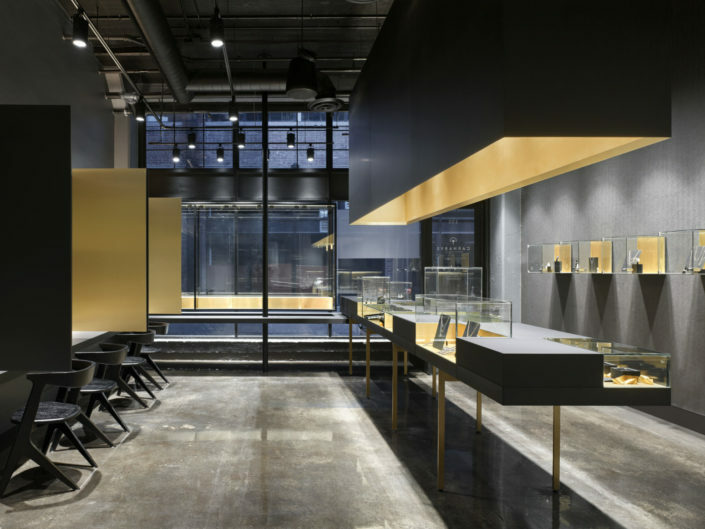 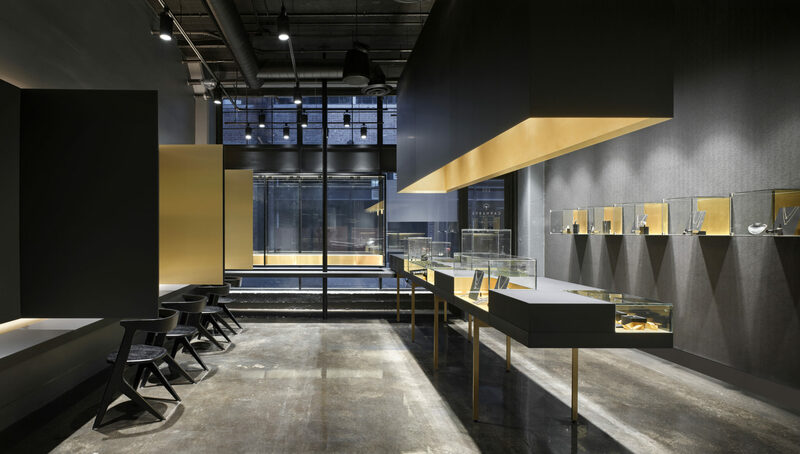 Located in Toronto’s East Liberty Village, Carnabys is a jewellery boutique that offers unique collections, bespoke and personal assistance to those who wish to design their own jewellery. 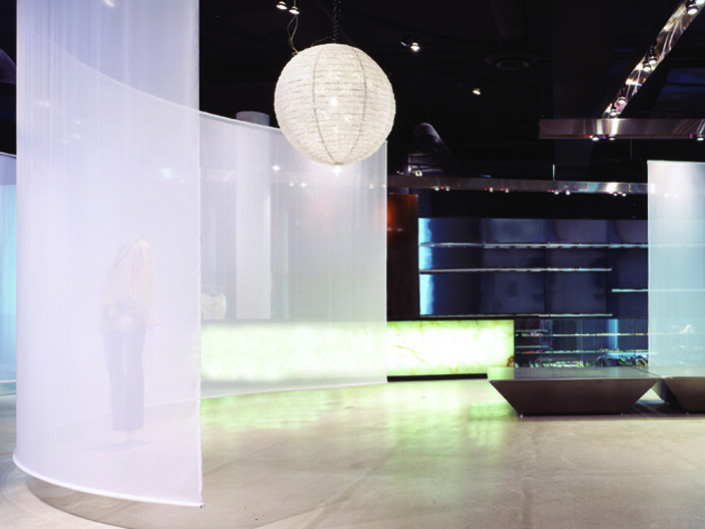 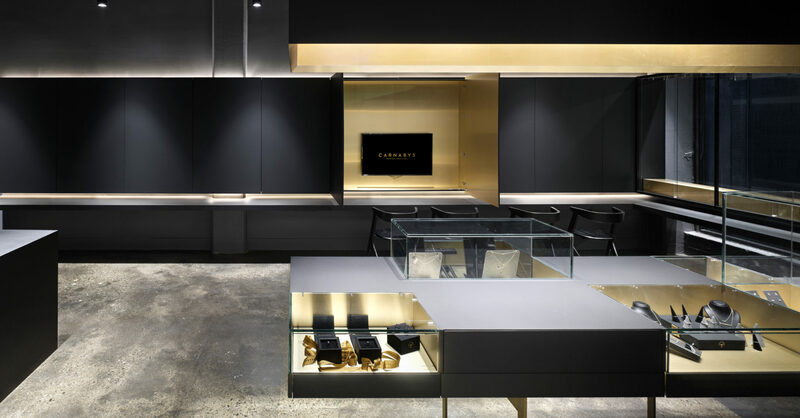 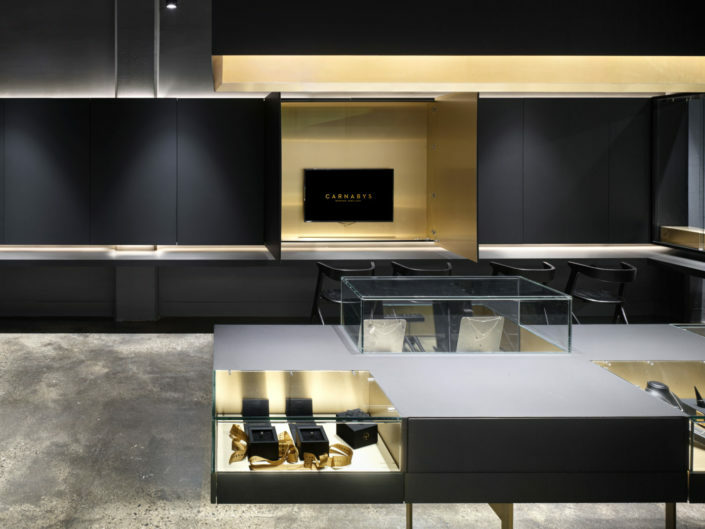 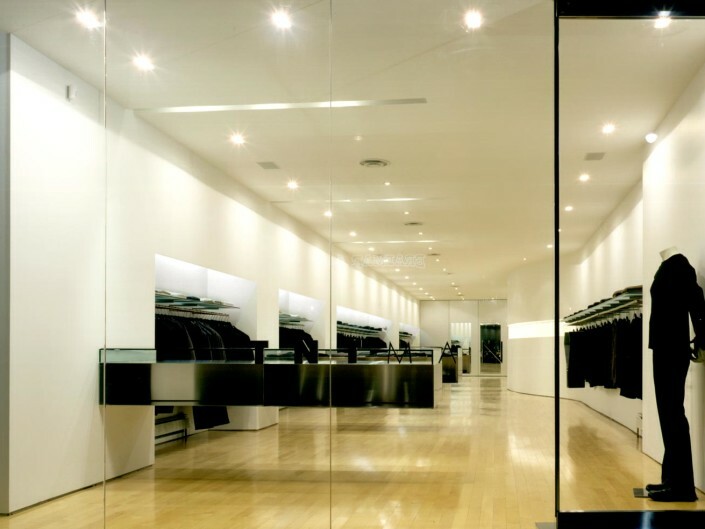 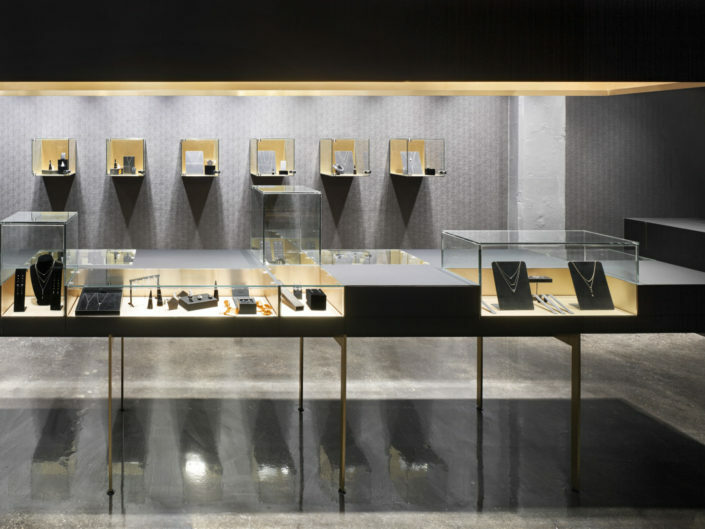 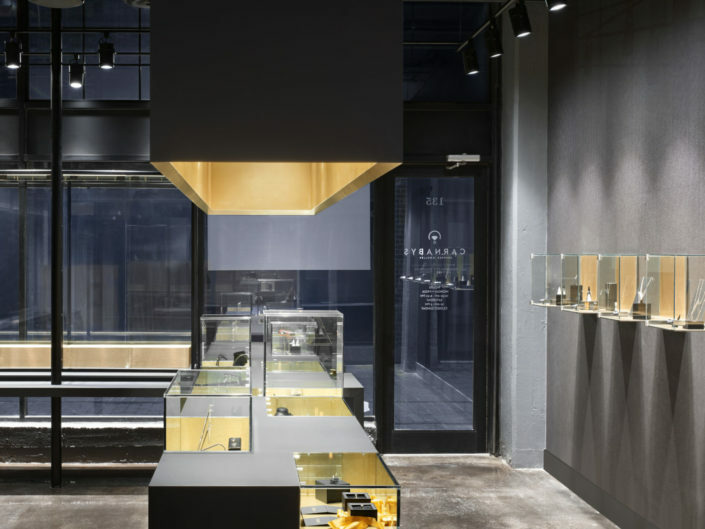 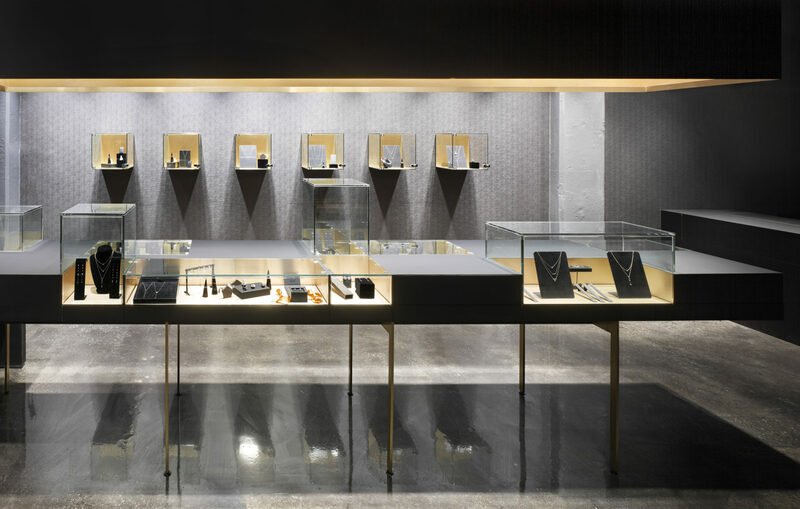 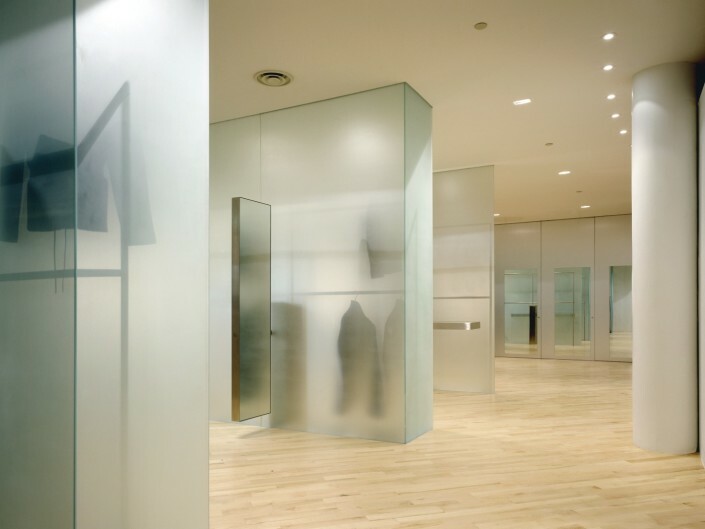 The space is both a jewellery boutique and design studio, featuring jewellery cases that have a variegated topographic composition that provides more options for visual merchandising and cabinetry with computer monitors installed within that open to define enclosed personal spaces within a retail environment. 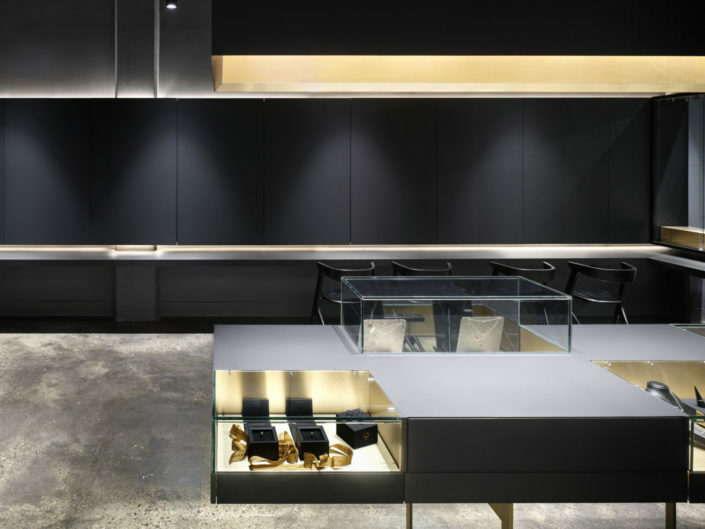 Created as an extension of the corporate branding with a black as the predominant colour, the space is intended to convey an artisanal quality and is an exercise in restraint and a study of contrasts. 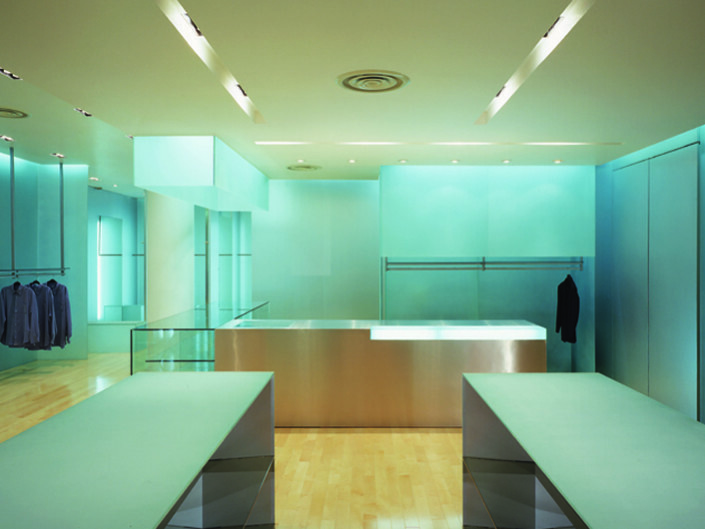 Contrapuntal concepts, include dark and light, heavy and weightlessness, textured and smooth, refined and “found”.